We are pleased to announce the arrival of our most recent translation! 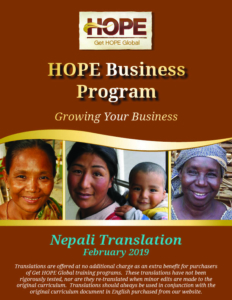 HOPE Business Program: Growing Your Business is now available in Nepali. 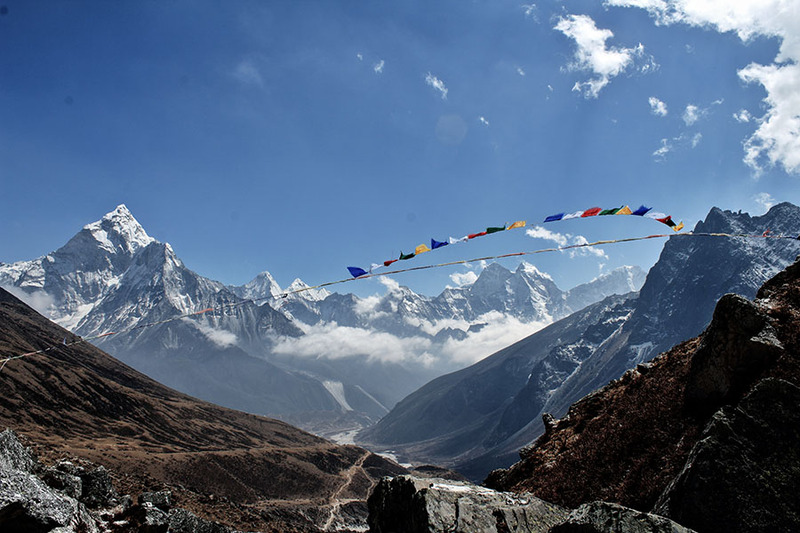 Nepali, spoken by over 12 million people, is the national language of Nepal. It is also spoken by many people living in India. Our Nepali translation was completed by a program leader. Current owners of HBP: Growing can log in to their accounts and view available translations on the main “My Materials” page. Curriculum translations are offered as an extra benefit for Get HOPE Global users. They are not rigorously field tested, so they should always be used in conjunction with the original English language document.